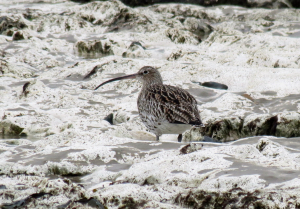 Observation - Eurasian Curlew - UK and Ireland. Description: Feeding amongst the chalk reef on a really cold snow shower day. Feeding amongst the chalk reef on a really cold snow shower day.